In the heart of the Touraine in France’s Loire Valley, sits the lovely Domaine de la Chanteleuserie on a plateau of limestone. This is the land of the Cabernet Franc grape, known locally as “Breton.” The Chanteleuserie vineyards enjoy full southern exposure on limestone and clay, with a subsoil of porous, chalky tuffeau that also provides cellars with naturally ideal ageing conditions. The utmost care in the vineyard, at harvest and the winery is taken to ensure that the grapes maintain freshness and acidity, thereby avoiding any of the overly rustic qualities found in some Bourgueils. 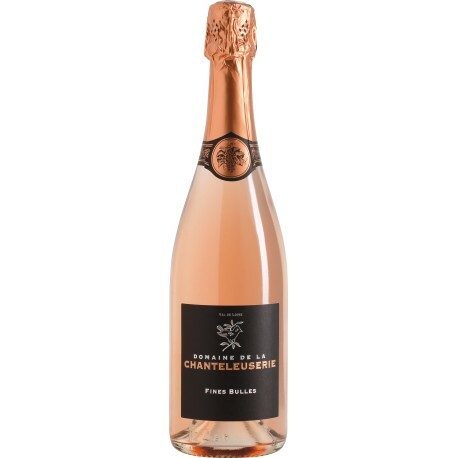 This is a traditional method sparkling rose crafted from young Cabernet Franc grapes.